Coming closer to summer vacations it’s time to summarize all P4 courses, complete the work of writing and correcting all the examination and enjoy the knowledge gained by all our excellent students when conducting their master thesis projects. But this week has also offered other exciting and interesting education-focused events. For instance I got to see the impressive work done by the students in the Energy Management course (MJ2410), since they presented their project results in Sing-sing (where my office is located). The students have studied each Tokyo district, during the course, to propose solutions for a more energy efficient Tokyo in the year of 2040. The initiative is based on a collaboration between KTH and the Gadelius company (which operates in the interface between Sweden and Japan). The students proposed creative and innovative solutions based on a holistic approach in order to reduce the energy use in buildings, increasing the amount of renewable energy and reducing carbon dioxide emissions. 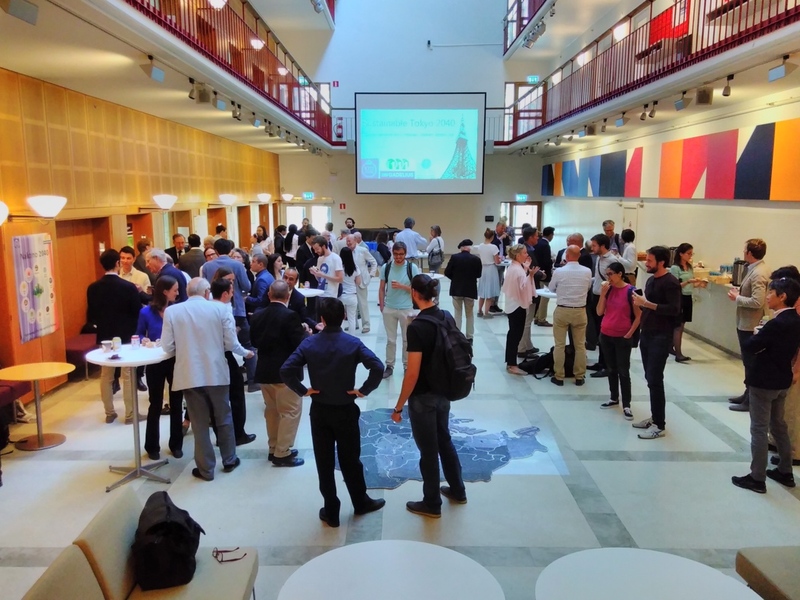 On June 4th, five groups presented their solutions to Japanese ambassadors, KTH representatives, external companies and the Gadelius company. The two winning groups won a trip to Tokyo in September to present their solution proposals for various representatives from companies and representatives for Tokyo City.